City of Glen Cove, Ferry Terminal Project | D&B Engineers and Architects, P.C. 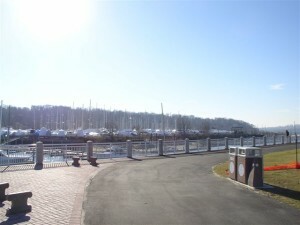 D&B was a key Design Team member for the City of Glen Cove Community Development and Industrial Development Agency for the Glen Cove Creek Waterside Improvements and the Glen Cove Ferry Terminal Project currently under construction. D&B role was to design the erosion and sediment control system for the construction phase of the project as well as the permanent storm water drainage system. These are important elements of the required Storm Water Pollution Prevention Plan (SWPPP) which D&B also developed for the City. D&B’s project responsibilities also included undertaking important elements of the environmental review process under the National Environmental Policy Act (NEPA) such as: wetlands delineation, habitat assessments, storm water management, infrastructure assessment, Phase II site investigations (soil sampling and analysis), soil management plan, and federal and state environmental permitting and approvals. D&B also played a key role in expediting the federal and state permit application review process sufficient for the City to obtain the permits and approvals within the time frame necessary for securing the project funding under the federal American Recovery and Re-investment Act (ARRA). For more information about this service, email us at findingsolutions@db-eng.com.